My first Awareness Through Movement (ATM) term is behind me and I have gained so much insight into the ways students respond to it. Considering the common goals and beliefs of our society, it was no surprise that certain expectations were brought into the classroom, and though this is unavoidable, it can sometimes negatively affect a student’s outcomes. Student expectations following their first experience with the Feldenkrais method tend to fall into the pitfalls of the ‘fix me’ and the ‘instant reward’ syndromes. Focus on quick results and immediate rewards can impose an unrealistic, and even unhealthy, demand on ourselves. We are taught that we need to justify any time spent on ourselves with publicly-visible results, easily measurable and easily explained to others who might question our investment in the class. We’ve all heard the saying ‘Life is not a sprint, but a marathon,’ and it is true. A focus on goal-oriented results leads us into this heightened and stress-based approach to our nervous system. It triggers our ‘fight, flight or freeze’ response and jars the nervous system from its natural state of peace. People cannot help but feel the anxiety of increasing demands for speed and time, even if they don’t know how to stop it. One way to overcome this cultural and habitual pressure is to practice Mindfulness. Mindfulness has gained in popularity even as the world has increased its pace. Moshe Feldenkrais saw the need for this kind of mindfulness and it is a big part of proper movement. The awareness of the body and how it moves is closely tied with increasing the awareness of the mind and emotions. The very infinitesimal moment when our mind makes an intentional first step towards a movement, is a moment of choice. We benefit from bathing in the pleasure of the exploration of that instant, in not rushing headlong into every moment without some thinking, some noticing of one’s own actions. This awareness is a kind of mindfulness, triggered and focussed through intentional movement. One of my favourite classes is about breathing, and it is worth repeating. It entails awareness, the practice of stopping, noticing and understanding how our breathing works. It devotes a short period of time to something we take for granted even though it is such a fundamental aspect of life and survival. Many people have little or no concept of the workings of the human body, of the almost miraculous way that we can self-heal. It is so valuable to spend a period of time listening to the functioning of our breath, considering how it performs the amazing exchange of gasses within us, and learning to enhance and improve breathing. 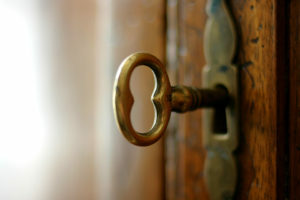 Of course, the key is not the lesson itself, but to take that new understanding and to create a new habit from it. One lesson may open the door to the knowledge, but it will not change your life until it becomes a regular practice – a habit. The deep value of Feldenkrais classes is not in what they do, but in what they allow you to do once you’ve learned how. Imagine a pianist who only played during lessons, or a footballer who only kicked a ball during practice. It is the nurturing of the knowledge into automatic, creative action that really makes fundamental changes to a life. As you gain in skill and practice, you will learn to listen more closely to your mind and body, to hear more from within yourself than you do even during class. This is the goal of Feldenkrais practice. You will feel something right away when you try it, that’s true, but the ultimate goal of it is not that initial feeling, but the long-term, solid benefits of habitual practice. You will at some point begin to hear even the faintest clicks cracks and pops that take place within, you will feel the effort that a muscle needs to compensate for our drive to achieve. You will even learn how to drain the anxiety from that tension. But it takes time. It takes some patience. It takes practice. A lesson is not the goal, but rather a reminder, an opportunity to stop… to slow down… to feel. It is a guided moment to encourage and teach you to pay attention to what your body needs, to set aside for a moment what you want it to do. Enjoy the impact of your first lessons. Enjoy the time spent in class. But remember: the life-changing part happens in the wider world, it takes time, and only you will know the full extent – the full value – of the benefits you’ve received from your practice. Think of each lesson as a key that can open a door to something amazing – practicing is opening the door itself. This is the first of my Feldenkrais blogs and over the coming months I will address various issues and subjects. Please feel free to ask questions or suggest topics and I will do my best to respond.